Leelanau State Park and Lighthouse West Natural Area preserve 230 acres of the tip of the Leelanau Peninsula, which includes the historic Grand Traverse Lighthouse. But the bulk of that, along with all the visitor amenities, is in the state park. 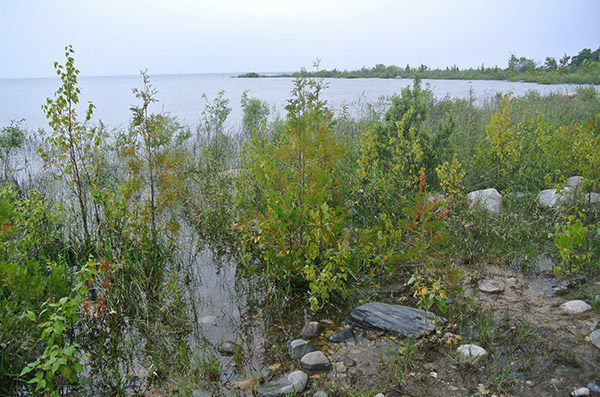 The natural area is only 42 acres and 640 feet of shoreline along Lake Michigan. Lighthouse West features 1.2 miles of trail, built in 2009 and designed to traverse the various habitats that appeal to birds, and thus, birders. The perimeter of the system, including a segment to and from the shoreline, makes for a 1.3-mile hike. Leelanau State Park and Lighthouse West Natural Area preserve 230 acres of the tip of the Leelanau Peninsula, which includes the historic Grand Traverse Lighthouse. But the bulk of that, along with all the visitor amenities, is in the state park. The natural area is only 42 acres and 640 feet of shoreline along Lake Michigan. But to thousands of songbirds and broad-winged raptors that migrate to nesting grounds in the Upper Peninsula and Canada, Lighthouse West is a blessing, a stopover for food and rest before crossing the wide expanse of Lake Michigan. 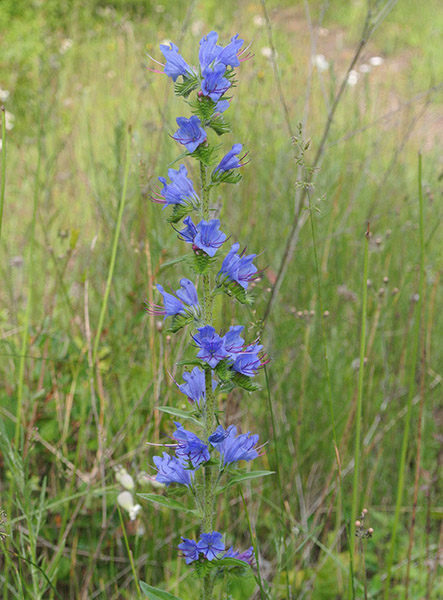 And for birders, the preserve is a place to see more than 100 species during the spring and fall migrations. During the spring migration from mid-April to mid-May, the northern reach of the peninsula is one of the best birding spots in the region. Waves of birds, from warblers, tanagers and orioles to shorebirds, waders and raptors, hug the Lake Michigan shoreline and are funneled up into the Leelanau Peninsula. When foul weather sets in, the birds linger at Lighthouse West while waiting for a warm southerly breeze to guide them across the open water. Other species, including scarlet tanagers, black-billed cuckoos and chestnut-sided warblers nest in the area. Lighthouse West features 1.2 miles of trail, built in 2009 and designed to traverse the various habitats that appeal to birds, and thus, birders. The perimeter of the system, including a segment to and from the shoreline, makes for a 1.3-mile hike. Note that private property separates Lighthouse West from the state park’s campground, lighthouse and day-use area to the north. Following the trail in a counterclockwise direction from the trailhead, you head north in a lightly forested area before swinging west. Just before the junction with a crossover spur at Mile 0.4, the trail enters a field dotted with pear and apple trees from an old orchard. Patches of wild berries, including raspberries and blackberries, are abundant here. You re-enter the woods and soon skirt the edge of a steep bluff with views of the hardwood forest below and glimpses of Lake Michigan. 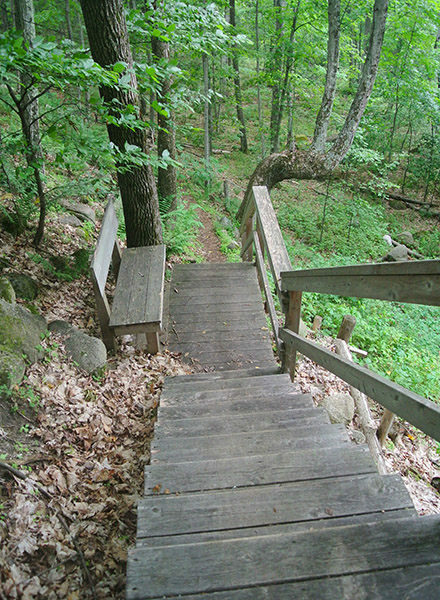 At Mile 0.6, the trail descends the bluff via a stairway with a bench in the middle and bottoms out in a boulder terrace shaded by maple and beech trees. The boulders were deposited after glaciers receded 10,000 years ago, with the trail swinging around the largest “glacial erratic,” a rock the size of a small car. The trail reaches a viewing deck with a bench, where another stairway descends to the shoreline, a cobble beach whose wetland vegetation and shallow waters attracts wading birds and waterfowl. Reached less than a mile from the trailhead, Lake Michigan is quiet, uncrowded and remote, a complete contrast to the often-busy state park just to the north. To return, backtrack through the boulder terrace, re-climb the stairs and go right at the junction at the top. 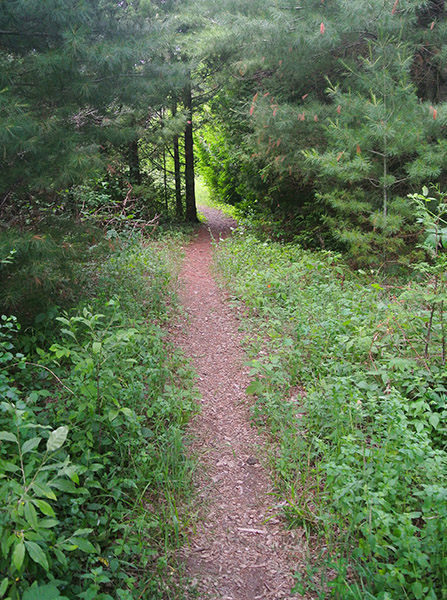 The last leg of the trail winds through mostly open fields where sparrows, indigo buntings and waxwings can be sighted. Just before the trailhead is reached at Mile 1.3 is an old plow and other remnants of the farm that once occupied this area. There are no facilities at the trailhead of Lighthouse West Natural Area. Lighthouse West is open year-round. There are no fees for enjoying the trails. From M-22 in Northport, head north on M-201, following the signs for Leelanau State Park. M-201 becomes County Road 640 (also labeled Woolsey Lake Road) and in 1.5 miles continues on County Road 629. Within 5 miles, just before CR-629 ends at the state park entrance, turn left (west) on Cathead Bay Drive, a dirt road. The trailhead (and parking area) for Lighthouse West is posted less than 200 yards on Cathead Bay Drive. For more information, contact the Leelanau Conservancy (231-256-9665) or stop at the conservancy office, 105 North First St., in Leland.